← Two FUNNY videos from Pesach…. **Update: As of 5/22/2018, 59 spots already reserved. **Tours fees and transportation are ala carte and extra. I.e., As soon as we nail down individual prices for each of the five day tours, we will release that. Costs are site entry tickets and in the two day trips, a share of the bus cost, probably about $15/person or so for the two long day trips. We will be staying in Gi’vat Ye’arim, the moshav (village) that has been our host site our last two trips to Israel. 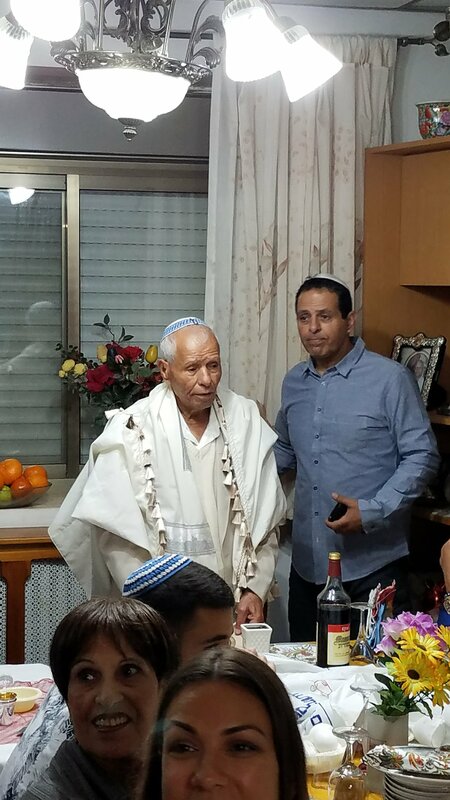 (See posts from Pesach 2018 and Sukkot 2016) We have begun to build a bond with this Yemenite community that has welcomed us into their homes, sukkahs and synagogue. From Gi’vat Ye’arim it is a short 12 minutes by bus to the Mt. Herzl train station and a 15 minute ride to downtown Jerusalem and the Old City. 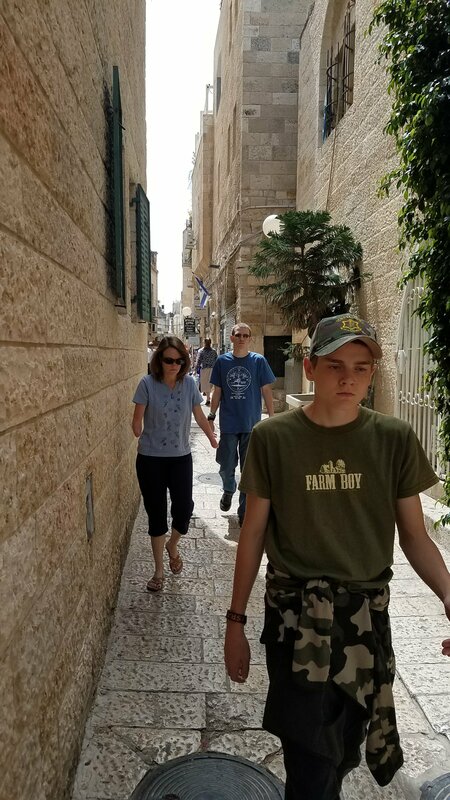 Besides the work days in the shadow of the massive ancient stone walls, Kimberly Rogers-Brown is organizing the tours that will visit the Western Wall, the tunnels under the Old City, Hezekiah’s tunnels, the City of David (Ir David) and all the bustling streets and shops in the Jewish Quarter. Other tours she is planning include a day trip south to Masada, Ein Gedi and Qumran as well as a day trip north to Shiloh, Elon Moreh and Har Bracha, the winery on the Mount of Blessing. 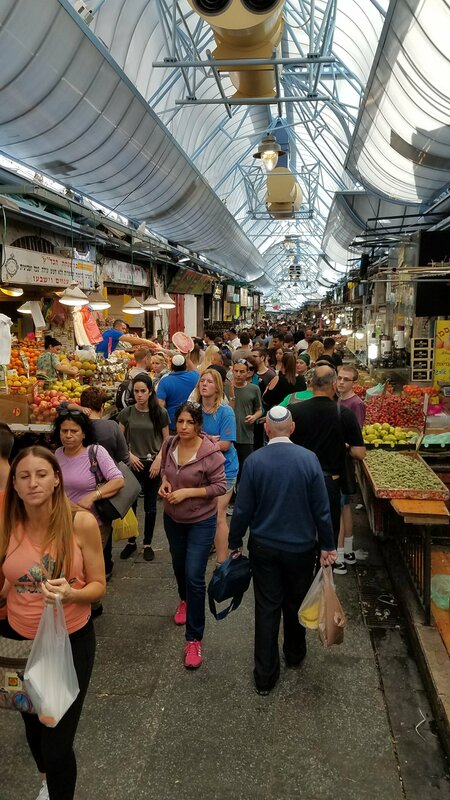 Other adventures include navigating the crowds at the world famous Ben Yehuda Street market, meeting other Hebrew roots and Messianic brothers from all over the world who gather at Independence Park Shabbat, sitting in the sukkahs of welcoming families in Gi’vat Ye’arim and dancing under the starlight to a worship concert led by James Block. Teams of 10-12 will be led into the city for work and tours by experienced travelers to Jerusalem. some of our leaders have even lived in the Land for multiple years! Folks, I am telling you, this going to be dynamite!! Our accommodations are several very large rooms (genders separated) and several bedrooms as well as several camp sites. See the pictures in the gallery. Of important note: This is NOT a proselytizing ministry or mission! This in an opportunity to build friendships with Ephramites from across the planet and build bonds and goodwill with our brother Judah while helping prepare the city for Sukkot and then celebrating it in Jerusalem!! Does this sound like something you want to participate in? It is an amazing opportunity to represent Ephraim to Judah and be a servant while being in Jerusalem for Sukkot! The bottom line cost is $825 per person for 16 days. $50/day per person plus $25 for a couple t-shirts and minor other incidentals. You will need airfare to TLV, Tel Aviv. Young people are welcome, however we strongly desire a responsible adult with any group of young people. Please ask for details regarding minors. Sign up for more details and to reserve a spot! We only have 90 slots as 10 are already taken. Please fill out the Contact Form below if you are interested or want to reserve a spot. Details on how to pay to reserve a spot will be emailed in a couple days. Following is a gallery of pictures from two of the three locations we will be staying in. This entry was posted in B'ney Yosef (Ani Yosef). Bookmark the permalink. 20 Responses to Jerusalem on $50 a day!! At Sukkot!! No kidding!! Shoot me an email through the Contact Us page and I’m happy to answer questions. Awesome! Great to see you on Shabbat! Looking forward to you, Carlos and others from the family signing up! Great!! Looking forward to answering your questions! Folks! Start saving your shekels now! This a great mitzvah (good deed) to our brothers in Israel!! We have shared your vision! Thank you for pisting this!! Reblogged this on Ani Yosef. Shalom! Sounds great! How many openings do you have now? 7/20/18. And (how thick were those bed pads? Lol). Still have about 30 spots. Have stayed there two times before. You’ll sleep just fine. Come on!